Indian Bank Recruitment 2017 Job alert both Fresher and Experienced can get Indian Bank recruitment 2018 updated on 02-07-2018, notification of recent Indian Bank recruitment 2017 openings across India. This is an exclusive page updated on 02-07-2018 for the latest recruitment notification from Indian Bank 2017 it contains both active and recently expired Job openings and recruitment notification from Indian Bank 2017. Educational Qualification : Pass in XII Standard examination or equivalent. Indian Bank Selection Process : Selection will be through trials in the respective sport followed by interview. 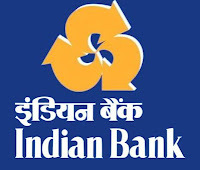 How to Apply Indian Bank Vacancy : Interested candidates may apply in prescribed application form along with self-attested Copies of certificates of sports performance, educational qualification, date of birth, caste etc. send to Assistant General Manager (HRM), HRM Department, Corporate Office, Indian Bank, 254-260, Avvai Shanmugham Salai, Chennai, Tamil Nadu – 600014 on or before 03.03.2018.